Northern light aureola, near-vertically above the photographer’s position. It was almost warm today, just about -6°C in Adventdalen. In comparison to the last days, it felt really mild. Only the wind was a bit chilly. 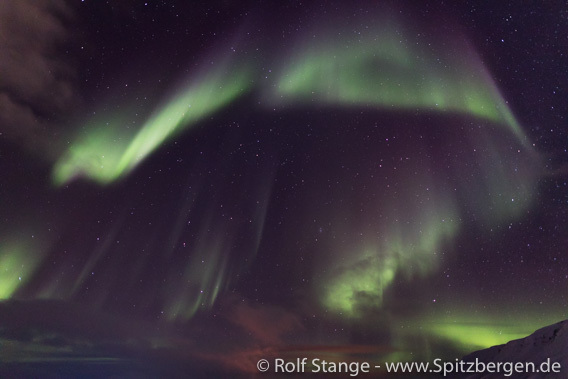 Ring of northern lights over Endalen. 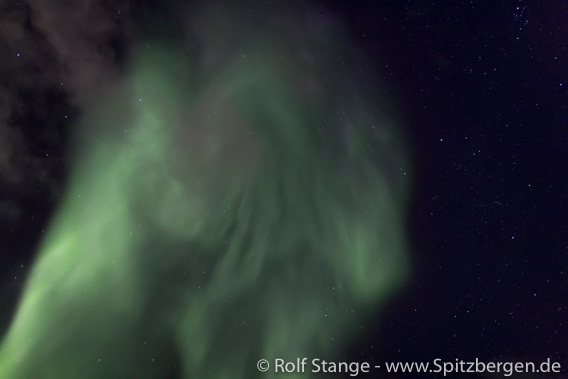 I can’t promise that there won’t be any more aurora borealis pics in this blog during the next weeks. This is how the polar night is. On the other hand, Lady Aurora can be very moody. Sometimes she is just sleeping somewhere far away or she is just dancing for the clouds. When she is in good mood then you just have have to take the opportunity. You never know when the next one comes – maybe this is her farewell for the moment and she decides to move on to another planet or wherever. 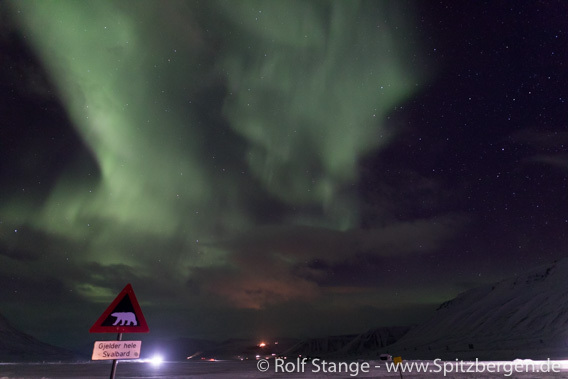 The famous polar bear warning sign.